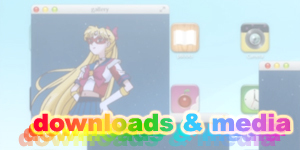 Welcome to the second page of my Codename Sailor V and Pretty Guardian Sailor Moon Manga Mistakes page. On this page you'll see a listing off all of the grammatical, spelling, continuity, and translation errors in Kodansha's new English language re-release of the manga. 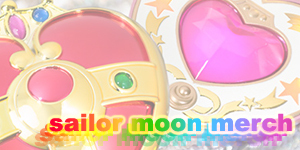 For more information on the manga re-release, make sure to check out my Sailor Moon Manga Shopping Guide and if you haven't seen the first Manga Mistakes page yet, make sure to give it a look for errors in the first volumes of Sailor V and Sailor Moon as well as some basic general errors and issues that I have with this release. Most importantly, if you've found an error that I haven't listed here, please Contact Me and I'll totally add it and give you credit. As in volume 1, strange ":" appear in Sailor V's attacks and special moves despite not being there in the original Japanese version or in any of the other Sailor Guardians' attacks in Pretty Guardian Sailor Moon. Deburine was very strangely translated as deVleene. "Deburine" is actually a name (albiet a rare one). It could also be interpreted as "Debrine" which means "life of the party" which suits the character's zesty personality. "Debrine" is also the process of removing salt from a solution. Salt is often connected to weight gain which was the main plot point of this arc she appears in. Thanks to Nyann Smith and Corey for filling in the salt removal / weight loss connection! 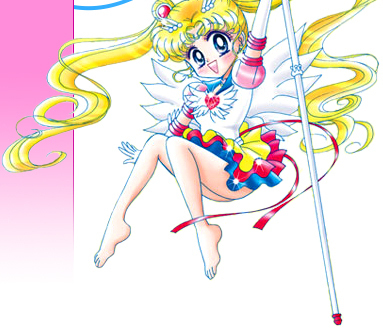 On page 77 the "s" in "sailor V" should be uppercase. Grammar mistake when Natsuna says "You're kidding! You're are kidding, right?" On page 51 the famous building in Azabu Juban has it'd original Japanese text left on it and the English translation of it's sign written underneath. I know myself and others were very happy with this however it's inconsistent with the editing of it in the first volume of Pretty Guardian Sailor Moon. Nyan-Nyan should have been translated as Meow-Meow. Wan-Wan should have been translated as Woof-Woof or possibly Bow-Wow. On page 123, the girl uses the honorific "chan" for both Artemis and "Luna" though "Shiroi Neko-chan" was translated as "Mr. White Cat", "Luna-chan" is left as "Luna-chan. Inconsistency within the same panel! The "chan" usage here is simply to show us that she's the type of person that speaks all cute to her pet (and others). "Mr. White Cat" actually works quite well. "Luna-chan" could have been translated as "Miss Luna", "My little Luna" or something along those lines. Chuu-Chuu. Chuu, while famous for being the Japanese version of the noise a mouse makes, can also be used as a sound given for a kiss or a small bite. Given this, her name could be Kiss-Kiss though due to the fact that she's based on a mosquito, maybe a name like Bite-Bite or Nibble-Nibble could be used. 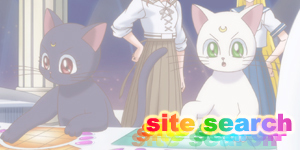 Nyan is the Japanese version of "Meow" and is left untranslated for the most part however strangely there is the occasional "Meow" used (when the original Japanese was "Nyan") which, despite being what I prefer to see in an adaption, is completely inconsistent with the existing Japanese words. Same can be said for wan which is the Japanese equivalent for "woof" or "bark". For the most part left untranslated but for some reason the translator decided to translate random "wans" as "woof" which makes for very inconsistent reading. 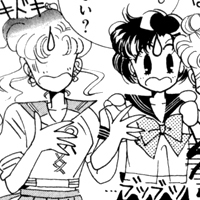 On page 96, Artemis tells Minako, "You don't have the slightest bit of nervous tension that you should have!". Very unnatural dialogue. Something along the lines of "Be more responsible" or "You don't take things nearly as seriously as you should!" would have sounded a lot better. On page 231, Minako incorrectly refers to China as being a continent. Thanks to Elizabeth for noticing this! On page 239 somewhere is spelled wrong and is spelled "somehwere". Thanks to Elizabeth for noticing this! Despite what the translator says, having a kanji (Chinese character) for your name does not mean it's a traditional Japanese name. All children born in Japan are given kanji for their name no matter if their name is Japanese or from another language (such as "Mike"). Even non-Japanese people can get a kanji for their name and there are numerous English to Kanji name dictionaries which make the whole process easier such as Write Your Name in Kanji . The Translation Notes lists incorrect page numbers for the majority of the references. Several of the pages numbers in the contents at the front of the book don't correspond to the correct chapter pages. Thanks Mirai for letting me know about this! 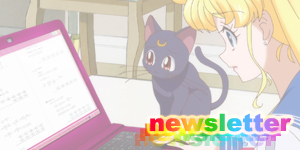 On page 15, Sailor Moon wonders, "What'll should I do?". Should be "What should I do?" On page 43, Sailor Mars' attack has changed back to "Evil Spirit be exorcised". Inconsistent with it's other name in volume 1, "Evil Spirits be gone". "Origin" is misspelt as "orgin". On page 67 the Azabu Juban Shopping District sign is back to being edited the same way as it was in the first volume after having it's characters left in in Sailor V volume 2 and on page 36 if this very volume. Inconsistent approach to lettering and translation. Lettering also very lazily done. Doesn't fit on the sign at all. Literally just stuck over it. Some awkward phrasing with "And now, the Four Kings of Heaven... ...are down to myself alone." on page 79. Would sound a lot more natural if changed to something like, "Of the Four Kings of Heaven, now only I remain." or "Out of the four of us, I am the last one standing." or something. On page 80, "stuff sparkling" makes no sense at all. Possibly supposed to be "sparkling stuff". Could also be replaced with "shiny things". Some odd phrasing on page 81 most likely a reflection of translating too closely to the original Japanese. 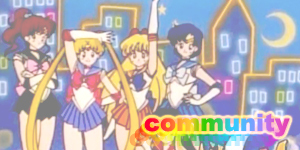 "..to grovel before that darkness, Princess, Sailor Guardians!" Should be phrased more naturally such as "..to grovel before that darkness, Princess and your Guardians!" Tuxedo Mask's "...Oh, yeah..." sounds way too chilled and casual for the situation he's in. i.e. Almost being killed by the enemy while simultaneously remembering that he was murdered in front of his love in his previous life. Maybe a more serious "...that's right..." or "...I see..." would be more appropriate. On page 108 since it's using "the" we must assume that "...That is the god's law." is referring to many gods, possibly from Greek myth, etc so the apostrophe should be placed after the "s" to make it plural: "...That is the gods' law." If by some chance it's referring to the Christian God, it should be "...That is God's law." On page 177 "...Have we just been slumbering in a very long sleep...?!" sounds strangely redundant. "...Have we been sleeping for so long...?!" might work better. 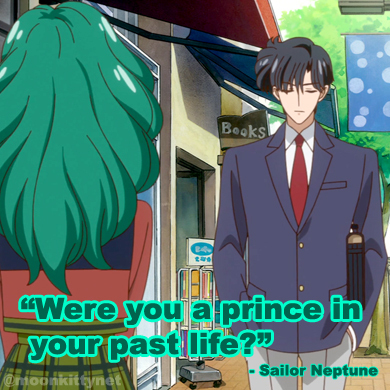 Page 146 has some of the most awkward dialogue so far when Usagi's parents call each other "Mother" and "Father". It comes from the original Japanese where they call each other "Mama" and "Papa" but is very strange in English for several reasons. For one, it comes across as very cold, almost as an insult. It's also very strange in English as while some parents used to call each other by their family positions it's not done so much now and sounds very old fashioned. Coupled with "...Say, Mother?" it sounds super posh and uppity (think of Greg's parents on Dharma and Greg) which is very out of character for the two characters. Would have sounded a lot less jarring with "Honey" and/or "Darling" which really is the English cultural equivalent. "translocate" on page 150 should be "teleport". Not only would it sound more natural (seriously, who says "translocate"?) 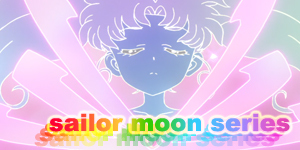 but it also references their similar move in the anime, "Sailor Teleport". On page 165, "exorcized your will" sounds very strange. Surely "surrendered your free will" works better or even "you couldn't think clearly". On page 173, "Then render him into a corpse!" could simply be "Then kill him!" "...it became too late for regrets?" on page 174 would sound better if changed to "...there was no turning back?" Super weird wording on pages 180 and 181 due to word order, "I'll give him back if you'll just hand over the "Legendary Silver Crystal" like a good girl. As a corpse!" The connection isn't really made. With some simple reordering though it works a LOT better as "If you hand over the "Legendary Silver Crystal" like a good girl, I'll hand him back to you... as a corpse!" On page 210, Sailor Mars' "I've got a bad premonition" doesn't make gramatical or logical sense. "I've got a bad feeling about him". "Premonition" which means to see into the future has absolutely nothing to do with this scene. Strange mixing of wouldn't/could on page 215. Should be "You wouldn't be "Big Bro" Furu-chan's... acquaintance would you?". On page 221, a strange ":" appears in "Venus Power: Make up!!" when one had never been used in any "Make Up" phrase previously. On another note, I feel that the "up" should have an uppercase "u" like this, "Venus Power Make Up!". The lowercase "u" seems slightly strange though maybe that's just me. On page 230, Queen Beryl strangely claims "I am Princess Beryl! Queen of the Dark Kingdom!!". Not only does this make no sense (calling herself a princess and a queen within the same panel) but "Princess" is not even mentioned in the original Japanese version, making it's inclusion here a BIG stuff-up. The "Concept Art" bonus pages only has the titles translated. 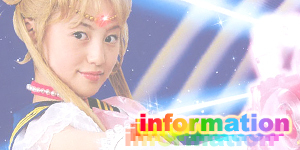 All of Naoko Takeuchi's notes remain untranslated. Both inconsistent (because the "Concept Art" in Codename Sailor V #1 was translated fully) and lazy (why not translate the notes?). The two pages of "Punch" manga strips that appear in the Japanese manga were completely excluded from this English re-release. No reason was given. In fact Kodansha had officially stated that their English release would include all content from the originals. These "Punch" manga strips were drawn by Naoko and featured a bunny version of herself thanking the reader for buying the re-release and goes into the process of creating the original manga and her motivation for fixing some of the art and script in the re-release. I normally have a policy of not linking to scanlation or fansub sites but since Kodansha chose not to release these pages to English speaking audiences, those who are interested can get them as well as the fully English translated "Concept Art" pages at this page on Miss Dream. Download the Individual Act file for "Act 11". Strangely there are three blank pages in the back of the book. 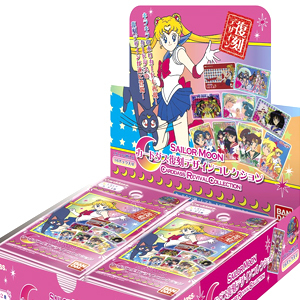 It's possible that these were meant for the missing "Punch" manga but given that they occur after the preview for #3, it looks more likely that they were intended for an ad for all future volumes such as the one that appears in the first volume of Pretty Guardian Sailor Moon.